Cosmos Infinity's advanced Oasis series delivers exhilarating power. Unlike traditional lead acid battery contains heavy metal and corrosive acid. Oasis is made with lithium ion cells. As a result Oasis is much cleaner and maintenance free. Oasis series is design for energy storage and back up power. For applications such as SMR in telecom, UPS, EPS, and renewable energy. Battery Management System (BMS) with Accu Balance Technology is categorical improvement to conventional BMS system. With extra cell equalization on battery cells. The result is all the lithium cells balance faster and more accurately. Conventional BMS cell balancing can only take place with slow charge. This sacrifices charging efficiency in favor of cell balancing. In contrast, BMS with Accu Balance Technology is more efficient and allows cell balancing with fast charge. In statistic, BMS with Accu Balance Technology can shorten charging time by up to 50%. 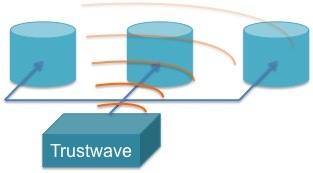 Trustwave is a central management system (CMS) design and developed by Cosmos Infinity. It seamlessly monitors all the battery modules and gives the real time update of module status. Standard equipment features are constantly monitoring capacity, temperature, and voltage. Cosmos Infinity comes with an OLED gauge display. The plastic, organic layers of an OLED are thinner, lighter and more flexible than the crystalline layers in an LED or LCD. Because the light-emitting layers of an OLED are lighter, the substrate of an OLED can be flexible instead of rigid. OLED substrates can be plastic rather than the glass used for LEDs and LCDs. OLEDs are brighter than LEDs. Because the organic layers of an OLED are much thinner than the corresponding inorganic crystal layers of an LED, the conductive and emissive layers of an OLED can be multi-layered. Also, LEDs and LCDs require glass for support, and glass absorbs some light. OLEDs do not require glass. Cosmos Infinity products are design from ground up to be the safest energy storage system. Much of its safety is owed to the unique design of battery management system. From years of experience in designing battery packs for various applications. 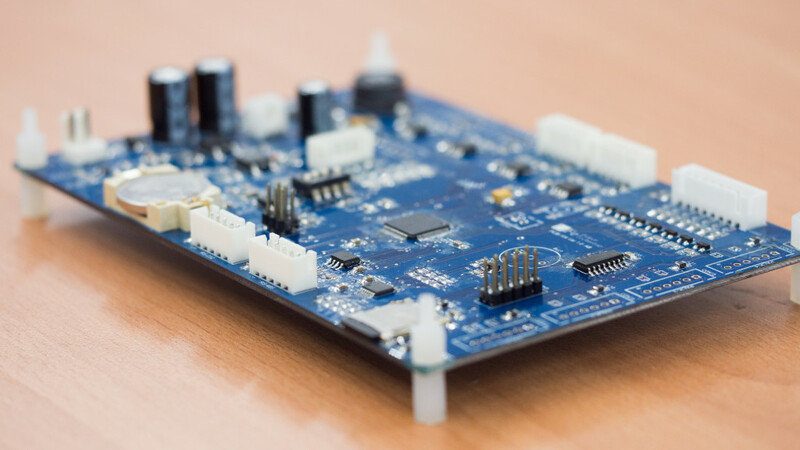 Cosmos Infinity use that experience into BMS design and well protected its battery pack. The temperature sensor helps protect the system at abnormal temperature. The voltage sensor will cut off input and output at abnormal voltage. The current sensor will cut off input and output at abnormal current.